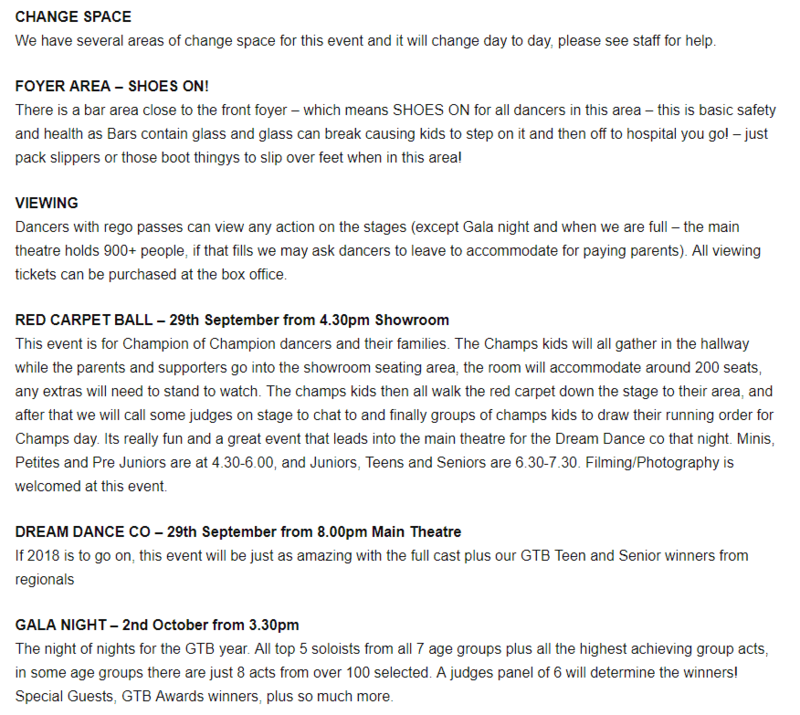 Get the Beat National Dance Championships is a culmination of 20 Regional events from all around Australia, NZ and Asia. 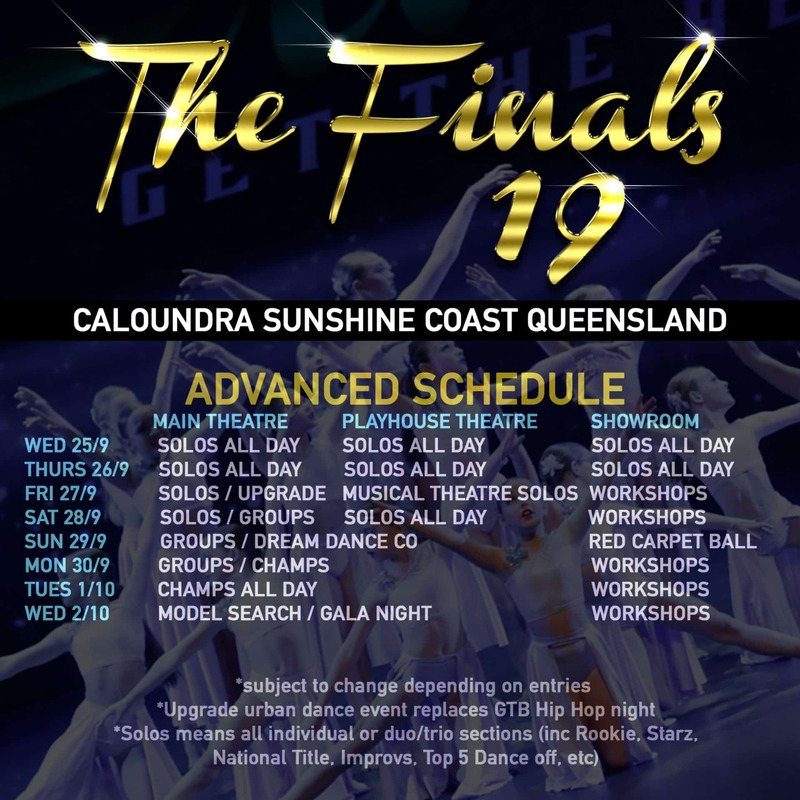 Over 20,000 routines attempt to qualify for a place at the prestigious National Finals held at the Caloundra Events Centre in September. 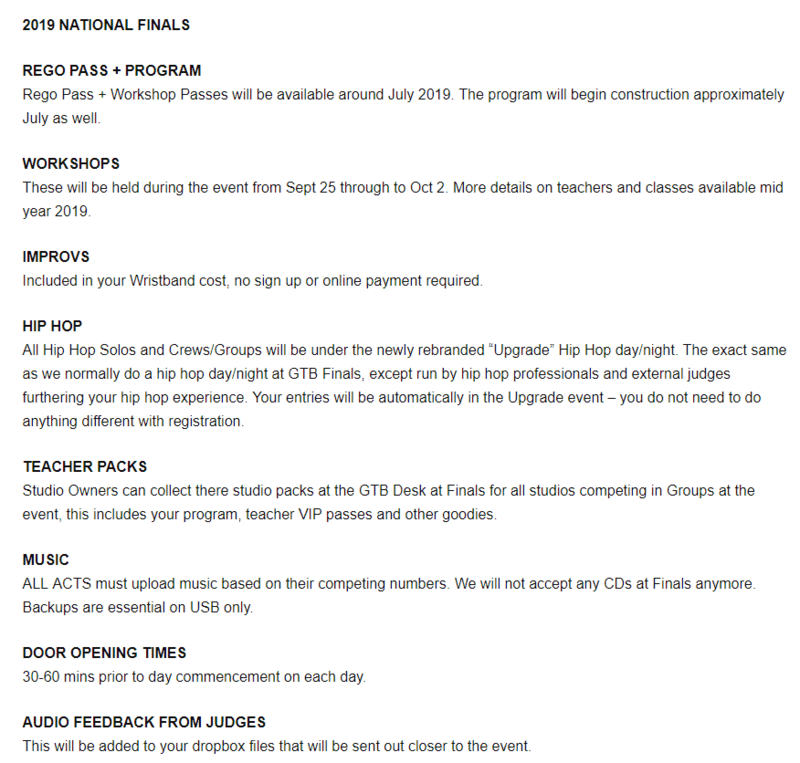 Run over 7 days with over $200,000 in Cash and Prizes, Get the Beat National Dance Championships are the most spectacular dance event of the year and held right in the middle of Caloundra! There are heaps of trophies up for grabs, as up to 9 winners and runners-up will be awarded prizes at the end of the competition. There are three age groups competing and those wanting to qualify for the Championships, need to win their section leading up to the Gala. The competition is open to ‘Amateur’ competitors which means that the dancer is not working full time as a dance teacher or performer. There are a number of categories in which dancers can perform including Ballet, Contemporary, Musical Theatre/Cabaret, Song & Dance, Hip Hop, Tap, Slow Modern/Lyrical, Student Choreography, Modern Expressive, Broadway Jazz, Jazz, Acro, Improv and Open. Those competing must abide by the time allocated which are: a solo performance is 3 minutes, song and dance are 3.30 minutes, duos/trios are 3 minutes, groups are 5 minutes. For spectators, cameras, camcorders, or any other recording devices are not permitted to use within the performance or dressing areas. Come along to Get the Beat National Championships and join in on the fun!